Career year for Oilers captain earns him league honors on elite list heading into final weekend of the regular season. PRINCETON, N.J.– The ECHL announced Thursday its 2018-19 All-ECHL First and Second Teams, as determined in a vote by the league’s coaches, broadcasters, media relations directors and media. 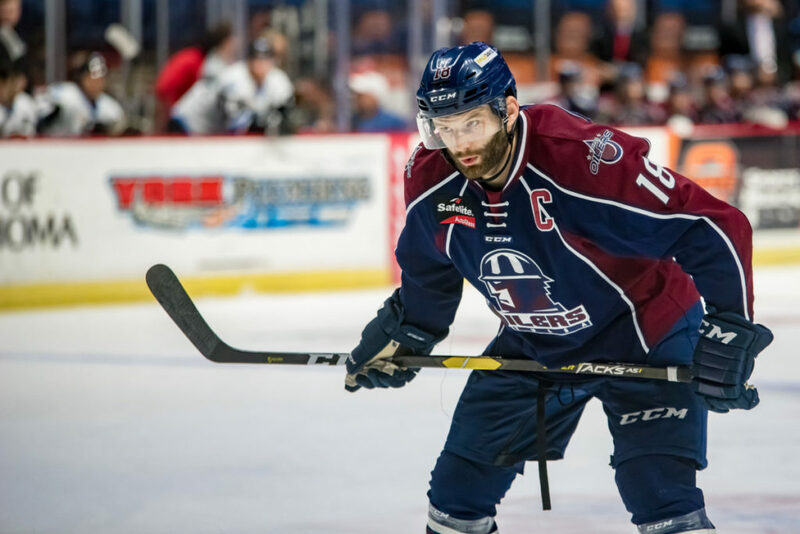 Tulsa Oilers captain Adam Pleskach was selected to the All-ECHL First Team. Pleskach, 30, leads the league with 37 goals and has matched a career-best 71 points in 69 games, with three games remaining this weekend. The sixth-year Oilers forward has also climbed into second in franchise history for goals (171) and games played (396), and third in points (327). The Beausejour, Manitoba native led Tulsa to its first playoff berth since 2014-15 and first 40-win season since 1981-82. Pleskach was also named to the ECHL All-Star Classic in Toledo in January. Tulsa returns home for its final three games of the regular season this weekend at the BOK Center. The Oilers host Kalamazoo for the first time ever Friday at 7:05pm and again Saturday at 7:05pm. Tulsa then wraps up the regular season Sunday at 4:05pm with an afternoon matinee against the Wichita Thunder. First round playoff tickets are on sale now! The Tulsa Oilers have clinched home ice advantage in the Mountain Division semifinals of the Kelly Cup Playoffs, presented by SmileDirectClub. Game 1 is scheduled for Thursday, April 11 at 7:05pm at the BOK Center, followed by Game 2 Sunday, April 14 at 4:05pm at the BOK Center. Call 918-632-7825 or visit www.tulsaoilers.comto purchase playoff tickets.